I’ve been thinking a lot about fear lately. About fear and bravery. What does it mean to be brave? Why do we feel fear? And how do we conquer it? Should we even conquer it, or just learn to control it? And before you get your hopes up, no I don’t have the answers. Reading this post won’t give you the answers, just some of my personal thoughts on it. I’ve been described as brave in the past. That always surprises me, because I think of myself as being quite the opposite. I’m afraid of being alone in the dark; I’m afraid of falling, and failing; I’m afraid to say how I feel; I’m afraid of my friends or family dying; and I’m afraid of my own mind sometimes, when I get deep within it and can’t get out. 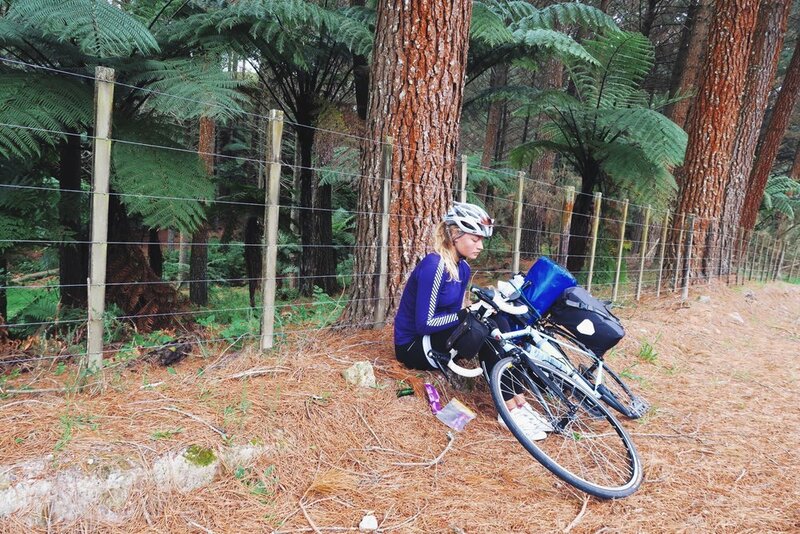 Despite that, one day I loaded pannier bags and set off cycling around America and New Zealand by myself for 6 months. I’ve wild camped alone, I’ve trekked to 5,000m+ in the Himalayas, I’ve climbed on sea cliffs, I’ve laid my heart on the line in relationships. All of these things were scary, all of these things made me anxious, but I did them because it felt right at the time. I did them with passion, and pleasure, and some kind of courage from deep within. We all do these things, think about your own. We do things that scare us, despite the fact they scare us, and we shouldn't to lose sight of that. That's what this is all about. Recently I’ve started climbing, and though I love it, I find it really scary. It’s something new. It’s out of my comfort zone. It’s trusting another person, a lot of gear, and yourself not to fall. And it’s also about getting over the fear of falling, and realising falling doesn’t mean failing. There are so many life metaphors in climbing, maybe that’s why I like it so much. I feel afraid when climbing, but more than that, I annoy myself for feeling afraid. For some reason, I feel like after climbing for 7 months I shouldn’t be afraid when climbing up a cliff face on a top rope (a top rope is when the rope is attached to an anchor at the top of the climb, so falling only means dangling on a rope), or balancing my feet on a thin ridgeline at a summit while controlling my shaking hands enough to set up an abseil, or abseiling down said cliff face with sweaty palms, unable to move to even admire the view around me, until 3 feet from the ground where falling won’t mean inevitable death, hopefully. When I get to the top of a climb that has terrified me all the way up, I don’t feel proud. I don’t feel victory because, for me, fear means failure. My boyfriend, Harvey, has been climbing since he was a kid and tells me he still get scared, I never see it though! smiling, but I was really afraid on this climb...! I’m sat on a craggy rock surrounded by rock pools and ocean, on a beautiful secluded beach in Cornwall with my boyfriend. But for some reason I just want to cry. It takes a lot, an awful lot, to hold back tears on this day as, six months into my climbing career, I feel like I’ve taken six steps back. I’m still afraid on a top rope. 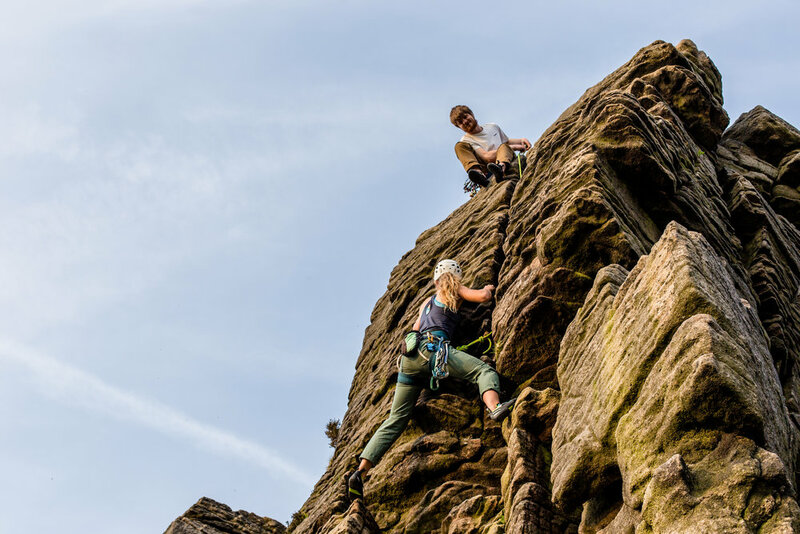 How will I ever be able to lead outside (leading is when you don't have a rope above you guiding you up, but instead you are protecting yourself by clipping into bolts along the way. This means if you fall, you fall down to wherever your last bolt or gear placement is, so it's a bit more scary)? How will I ever learn trad (when you set up your own gear in the rock, even scarier)? How will I ever fulfil my dream to climb a mountain one day? These are all thoughts running through my head as the sun bears down and I tuck my knees into my body and rest my chin on my knees, swallowing back the lump in my throat. How do other people do this? Am I the only one that’s afraid? I hate the fear, the lack of confidence, the self-deprecating voice in my head telling me I can’t do it, I’ll never be able to do it, I’m too afraid. I hate it yet I can’t stop it. I’d like to insert a quote here from Gwen who commented on a recent Instagram post discussing fear. I think it’s perfect, sums up exactly how I feel about fear, and how I should approach it instead. Thank you Gwen, your comment gave me such confidence to go out there and keep doing it. 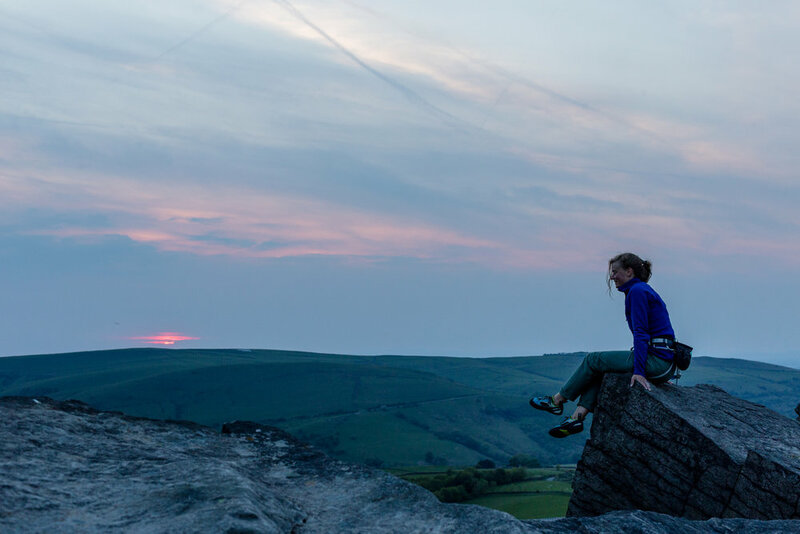 “I have spent my entire time with climbing working on “conquering” and “facing” my often crippling fear. Just the other day I had a bit of a freak out while trying to reclip a directional and was still blinking tears from my eyes when I finally got the clip. When we drove home at the end of the day my husband congratulated me on a successful and powerful day. I said I was disappointed by my freak out and thought it was a bust. I thought it would only be a success if I didn’t feel the fear, but in truth the success was that I felt the fear and acted anyway. In my experience, it isn’t about “not feeling fear”. It’s about choosing to take action despite the fear, because of the fear. At the end of the day our biggest successes are the result of perseverance and courage. If fear is there, it usually means you are being pushed and challenged to expand as a human being. My advice to you would be, forget trying to eliminate fear. Drop the expectation that you should not feel fear, or that experiencing fear is wrong. Embrace it. Chase it. Next time it rears its head, look right at it and say “come at me, fear!” Then you can do anything." Gwen is exactly right. Feeling fear is completely natural. It's normal, sometimes it's even necessary. The issue isn't feeling that fear, it's learning how to deal with it. To embrace it. And even, as Gwen says, to chase it. This is what I'm doing in climbing. I'm afraid, but I'm not quitting. I'm afraid, but I'm climbing anyway. I'm afraid, but I'm putting on my harness and tying in a rope. I'm trying new and harder things each time I go out. But most importantly, I'm doing them in my own time. I'm doing them when I feel ready. I'm pushing my boundaries, but I'm not pushing them over the edge. The key here is to take it one little step at a time, until that thing you found terrifying last month feels comfortable this one. Yes, I'm still afraid, but I'm allowing that fear by embracing it little by little, step by step. I'm allowing fear to be normalised, and my confidence to grow naturally. So to you, who may be afraid of doing something new, of taking a risk and stepping out your comfort zone. Embrace it. Embrace that fear and run with it. Because this is the point where life really begins. When you realise your own strength and abilities. When you can reach your full potential. Let me know if you've tried something new that scares you lately. I'd love to know how you felt before, during and after it.